Wedding trend alert ladies! Geometric shapes have been making a bold impact on the wedding scene in 2013 and the good news is, it’s super easy to inject some geo glam into your wedding day. This geometric brights inspiration board is just super fun no? Or do you prefer the lighter side? This geometric lights inspiration board still feels fresh and modern, but with a more feminine twist. 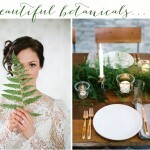 So are you thinking of incorporating geometric design into any aspect of your wedding day? 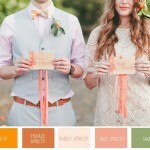 I’m head over heels for this modern wedding trend are you?